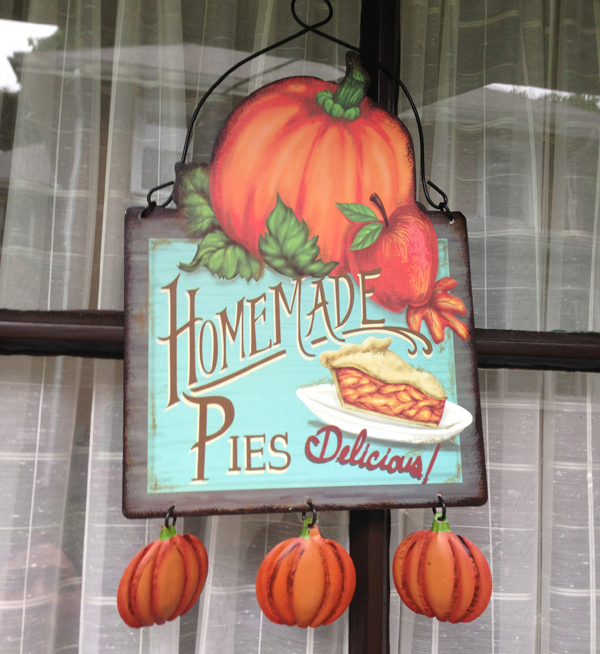 It really feels like fall now so I put up our autumn decorations. I love these door signs. PIE! 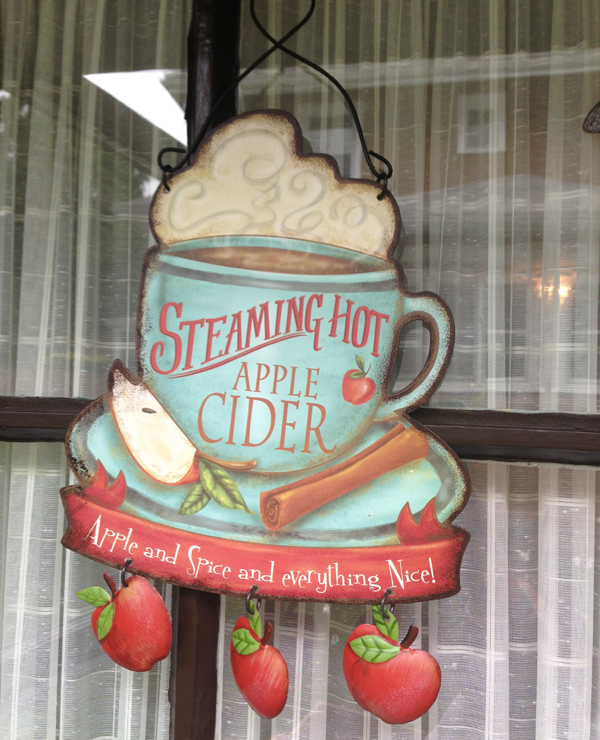 Steaming hot cider. I love seeing these when I come home. 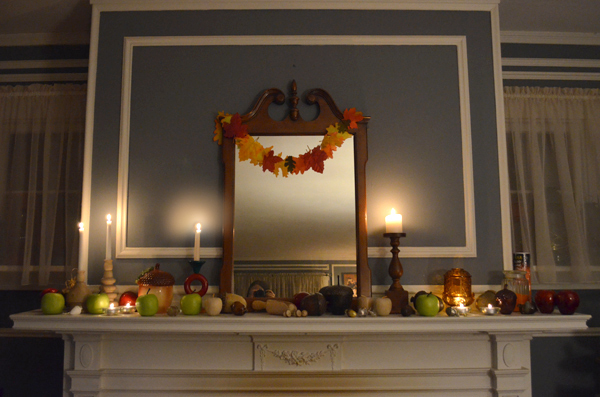 I changed the mantle over to an autumn theme too. I learned a new decorating term on Pinterest... mantelscape. I love this. 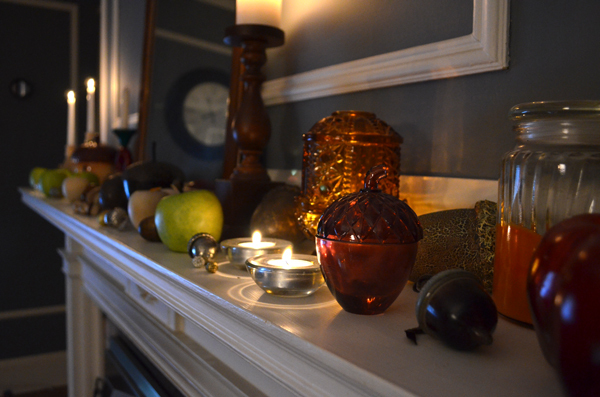 Our mantle is a major decorating focus in the house. I switch it up for all the holidays and seasons. Mantelscape describes it perfectly. 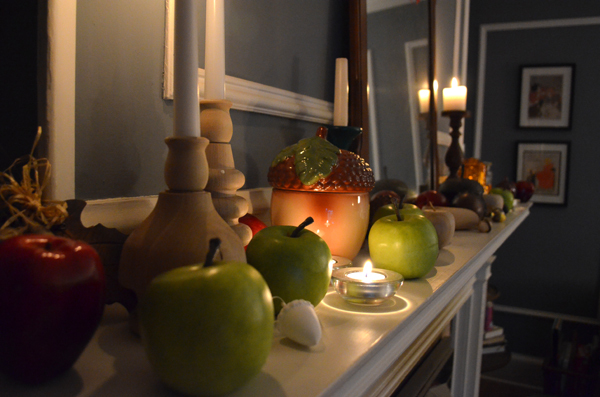 For September, the first fall month, I set out wood apples and my acorn collection. I have all sorts of acorns... big and tiny, wood, metal and glass. All together with candles, it looks so cozy.